If you suffer from frequent bouts of crippling back pain or recurrent sports injuries, then you are no stranger to cold compress for pain relief. A cold compress constricts your blood vessels, thereby lowering blood circulation, which helps to stop the flow of blood in case of a severe injury. It also numbs your skin tissues providing pain relief and is commonly used to treat bruises and blunt trauma injuries. While many commercial gel packs are available in the market, you don’t necessarily have to shell out your hard-earned money for one. You can simply use any of the 6 methods described below to make your own DIY cold compress. Ice packs are extremely useful in providing relief to sore or torn muscles. 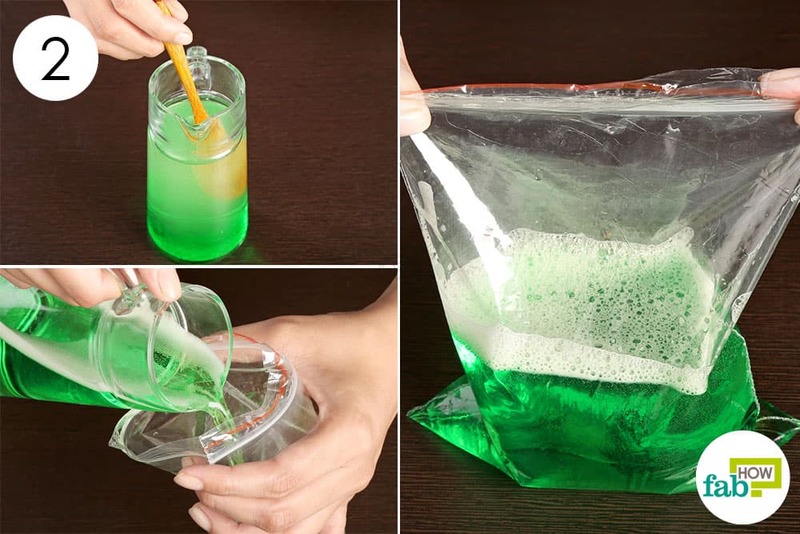 You can easily make them by freezing right liquids in right quantities and in the right manner. You can follow any of the three methods given below to make your own reusable ice packs at home. We have used rubbing alcohol for the first ice pack as it attains a gel-like consistency when frozen and can be easily molded to wrap the injured joints or body parts. 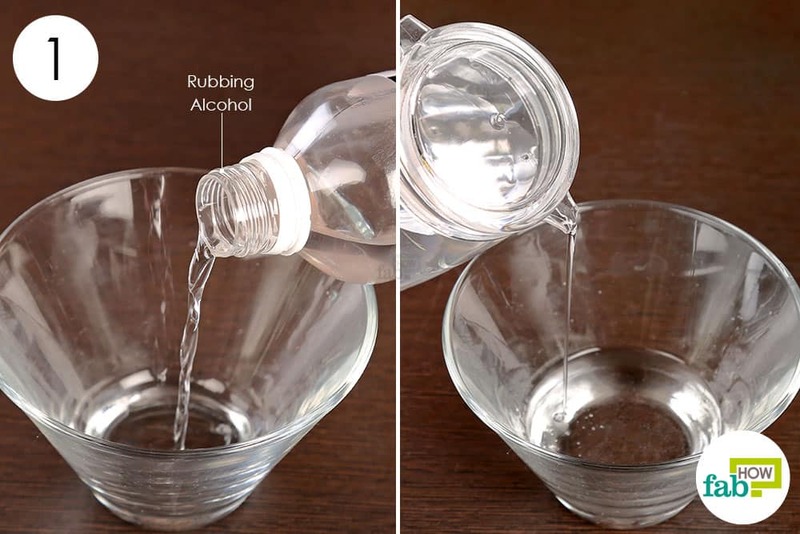 Rubbing alcohol also retains its temperature for a longer time and you don’t have to constantly refreeze it. 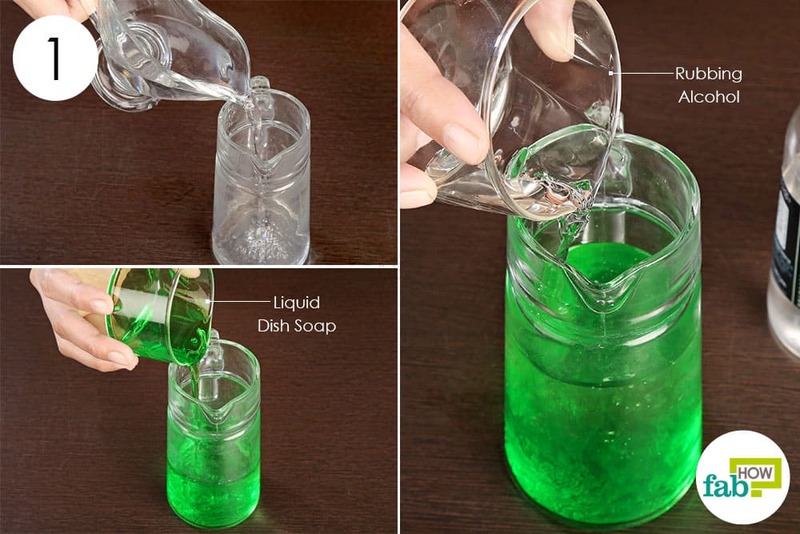 Pour ½ cup of distilled water into a jug. 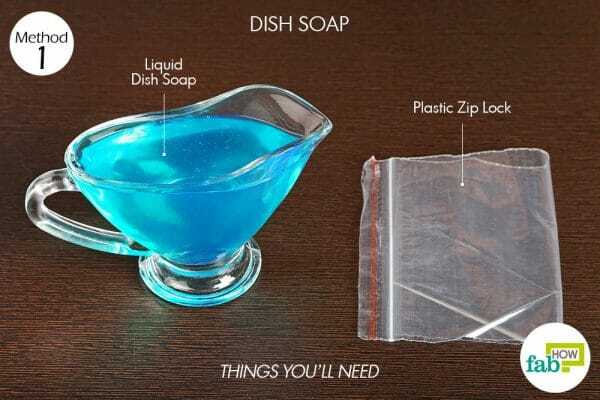 Add ¼ cup of liquid dish soap. Add ½ cup of rubbing alcohol as well. Stir the mixture in the jug to get a uniform blend. Transfer it into a ziplock or vacuum seal freezer bag. Make sure you squeeze out all the air from the plastic bag before sealing it. Place it in the freezer for at least 4 hours. 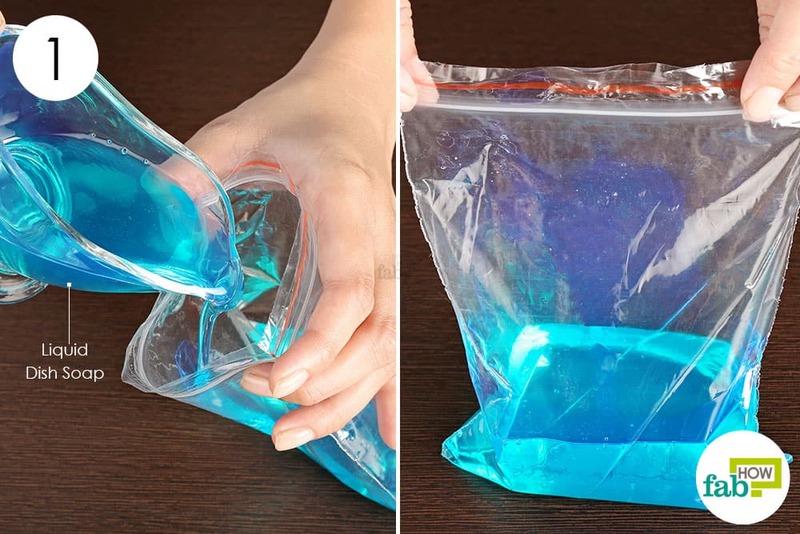 You can freeze it to solid or till it reaches a gel-like consistency. Wrap it up in a towel and apply it on bone or muscle injuries for pain relief and to reduce inflammation. Like rubbing alcohol, liquid dish soap can also be frozen to a semi-liquid state for a much longer time as compared to other liquids. 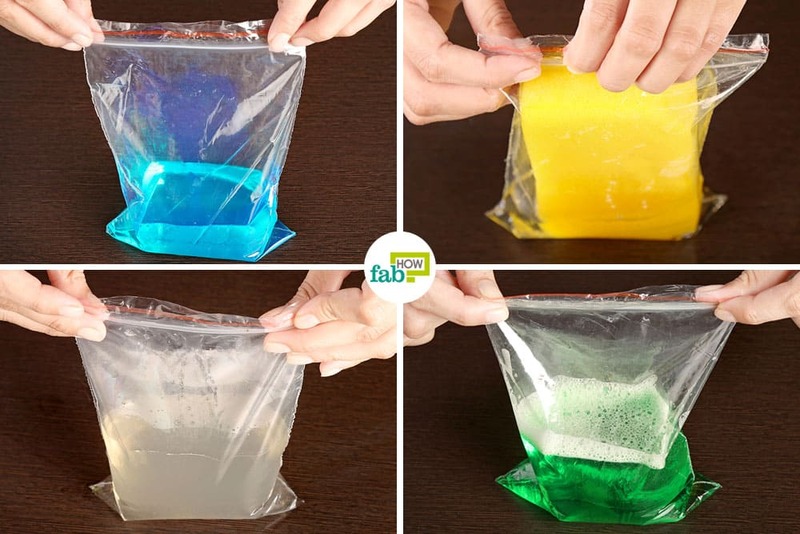 Pour out about ½ cup of colored liquid dish soap into a sealable plastic bag. Ensure that it is properly sealed shut; you have to squeeze out all the air from the plastic bag before sealing it. Place it in the freezer for a couple of hours, i.e., around 3 to 4 hours at least. Take it out; the liquid dish soap should have frozen to a gel-like consistency. You can make sure that the frozen dish soap is spread evenly throughout the plastic bag. Place a hand towel over the swollen area and place the dish soap cold compress on top; never place a cold compress directly on your skin. 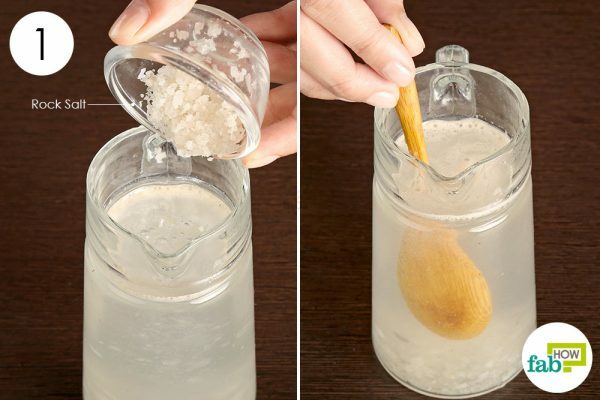 Adding rock salt to water enhances its ability to stay frozen. 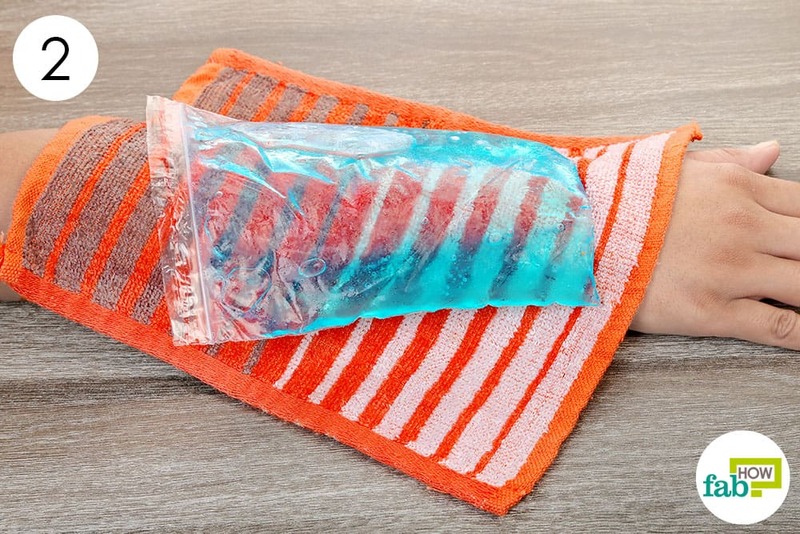 This ice pack is also highly malleable and can be easily wrapped around an injured wrist or ankle. Take 1 cup of warm water in a jug. Add 1 tablespoon of rock salt as well. Mix well to get a consistent mixture. 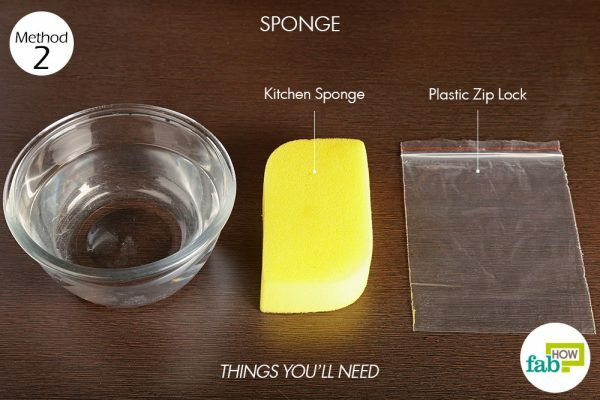 Take a vacuum sealed plastic bag and fill it with just enough of the salt solution to fill it up to 1/3 of its length. Squeeze out all the air from the plastic before sealing it shut for freezing. Place it in the freezer till it freezes to a gel-like consistency. Wrap it up in a linen towel and place it on the injured area for pain relief or to bring down swelling. 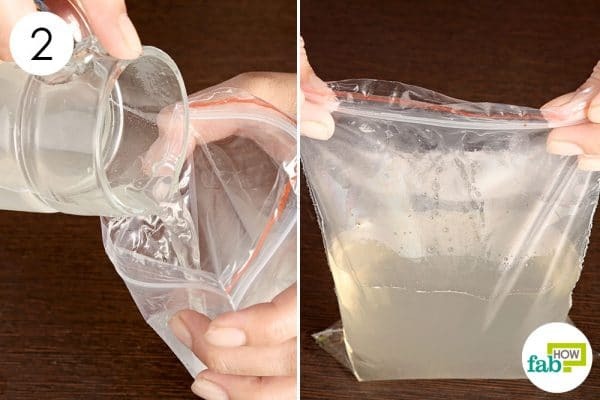 You can use this easy-to-make cold compress several times; refreezing it each time when it starts to melt (which won’t happen very soon).The plastic bag needs to be handled gently to avoid any damage leading to the leakage of salt water. Freezing a water-soaked sponge is another absurdly simple and cheap way to make a reusable ice compress at home. As kitchen sponges are quite flexible, they can be used to make highly adaptable cold compresses to relieve back and joint pain. 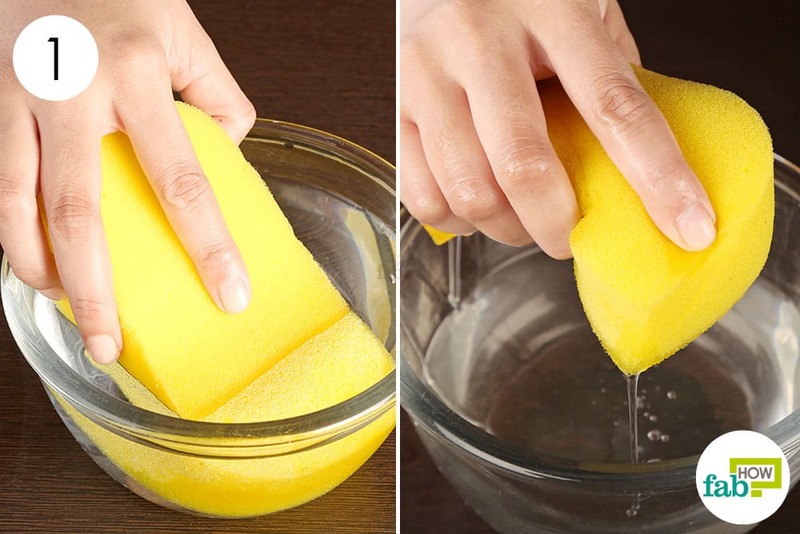 Immerse the sponge in the bowl; make sure it is completely submerged beneath the water. Let it soak for around 20 to 30 minutes, and then remove it from the bowl. Take care not to squeeze out any of the soaked up water from the sponge. 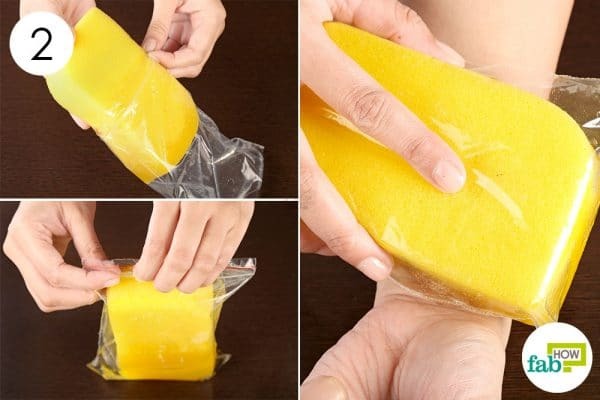 Carefully place the sponge in a plastic vacuum seal freezer bag. Ensure that the plastic bag is sealed properly. Place it in the freezer for a few hours to freeze the sponge as required. Your cold compress is ready; you can use it to treat inflamed joints and torn muscles. 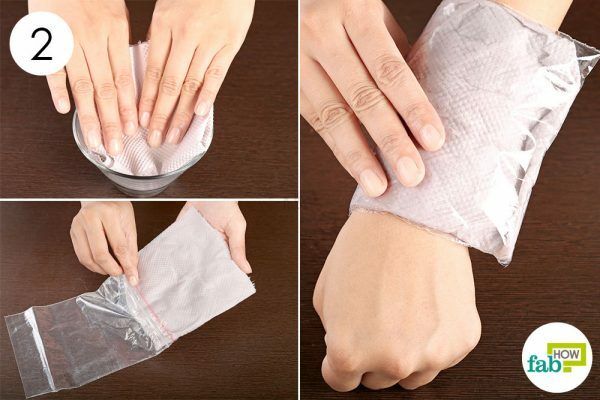 This is an extremely simple way to make a cold compress at home using simple items such as uncooked rice, a common household ingredient, and an old sock. 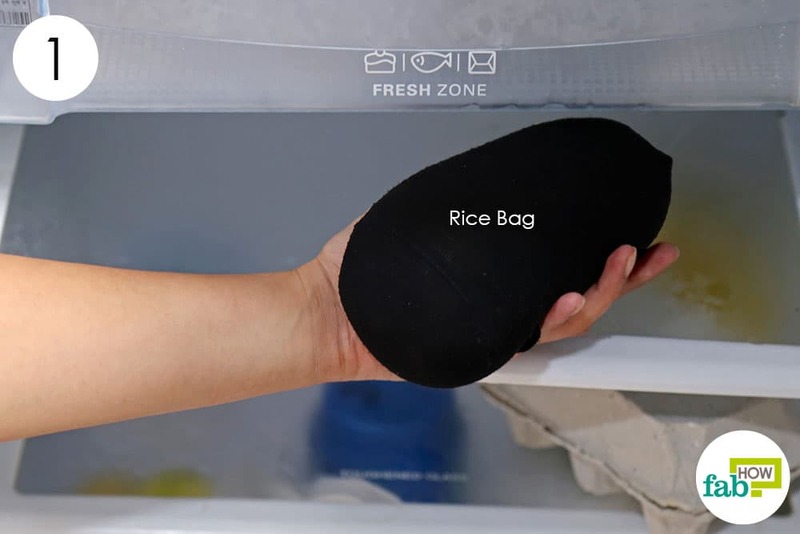 Take an old sock that you no longer use and fill it with raw rice. Knot the sock at the end to make a sealed rice bag. Place the prepared rice bag in the freezer for 2 to 3 hours or until it becomes chilled. Take the chilled rice bag out of the freezer and apply it directly on injured or wrenched joints. Re-freeze and re-use the rice bag as required. You can also use paper towels soaked in rubbing alcohol and water and freeze them to make a highly effective and adjustable cold compress. 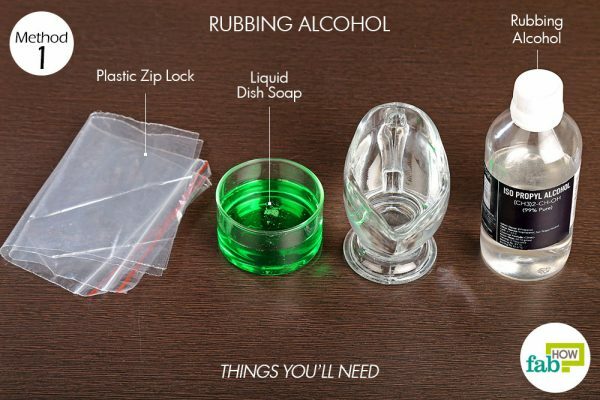 Pour ¼ cup of rubbing alcohol in a mixing bowl. Add an equal amount of water; try and use distilled water if you can. Stir and mix the two liquids. 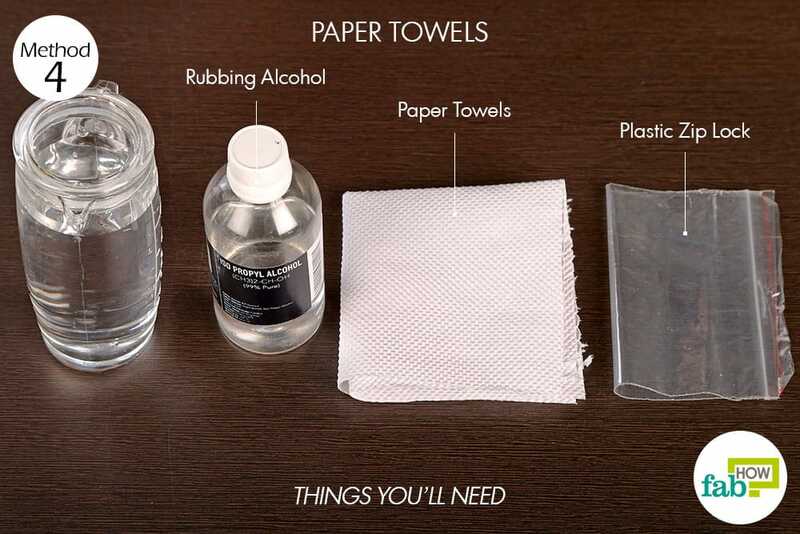 Stack 5 to 6 paper towels together and soak them in the prepared solution. Leave them in there for 5 to 10 minutes, and then insert the soaked paper towels into a vacuum seal plastic bag. Properly seal the bag and place it in the freezer for 2 to 4 hours depending on your needs. Take it out of the freezer and apply it directly on the skin, you can re-freeze it as and when required. One of the most popular habits is to employ bags of frozen food as cold compresses. You can set aside bags of vegetables and use them as a cold compress whenever required. Using smaller vegetables such as peas offers greater flexibility. 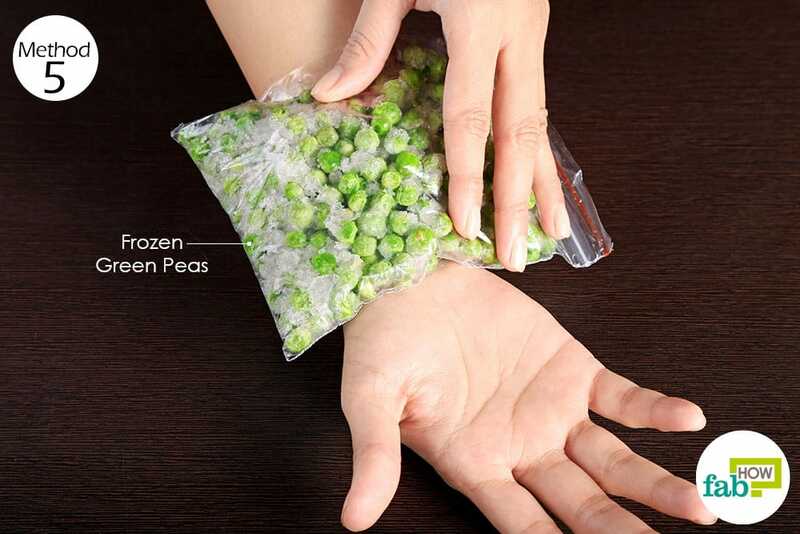 Take a sealable plastic bag and fill it up with green peas. Store it in your freezer for use in emergencies. To treat any injury or muscular pain, simply take the bag out of the freezer and mold around your skin for maximum coverage. Cold or chilled spoons are one of the simplest DIY cold compresses that you can easily prepare at home. They are especially suitable for application on delicate skin surrounding your eyes. You can use chilled spoons as cold compresses for pain relief and to bring down the swelling in case of a black eye. 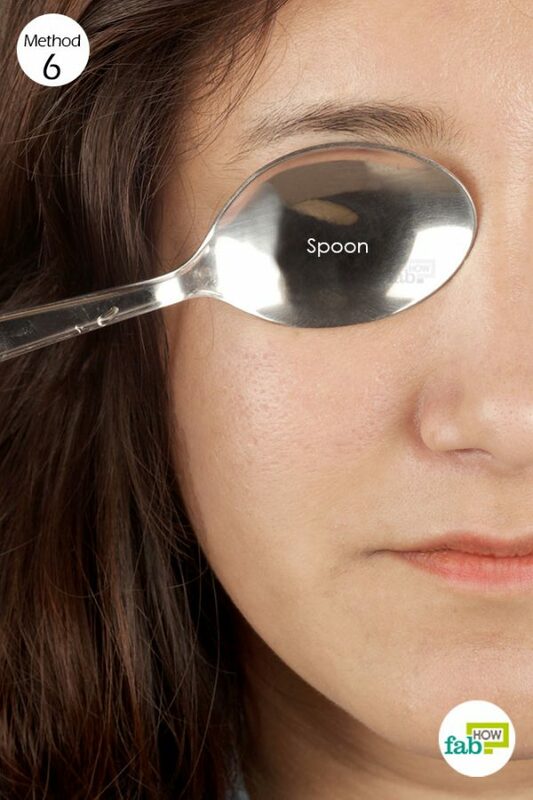 You can use chilled spoons as cold compresses for pain relief and to bring down the swelling in case of eye problems. Simply place some clean metal spoons in the freezer for 15 to 20 minutes. Take them out one-by-one and apply them as cold compresses to treat itchy eyes by reducing redness and inflammation. You can also use cold spoon compresses to get rid of black eyes. Keep checking plastic bags for damage and leakage; in case, you find anything, transfer the contents to a new bag or simply place the damaged bag and its contents inside a larger plastic bag or pouch. It is always better if you wrap cold compress in a small towel or dish cloth before application.